Three drivers - one with serious injuries - were taken to hospital yesterday after three cars and a lorry were involved in a crash on the Flore bypass. 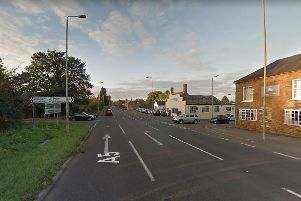 The collision happened at about 6.20am on Tuesday (April 9) when a red Nissan Juke travelling towards Weedon was in collision with a DAF lorry travelling in the opposite direction. The lorry was then in collision with a grey Ford Galaxy and the red Nissan Juke was then in a further collision with a grey Nissan Juke. The driver and front seat passenger of the Galaxy sustained serious injuries and were taken to University Hospital Coventry. The driver and a passenger in the grey Juke and the driver of the lorry were also injured and taken to Northampton General Hospital. The driver of the red Juke sustained minor injuries. 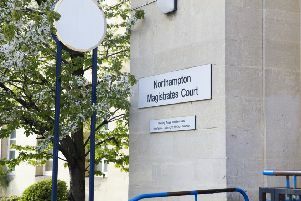 Witnesses to the collision or anyone with information are asked to contact the Northamptonshire Police Serious Collision Investigation Team on 101 or via the Drivewatch Hotline on 0800 174615, quoting incident number 47 of 9/4/19.